Smallest width mm - 10mm = Order width mm, to be used on the website. Smallest height mm - 10mm = Order height mm, to be used on the website. 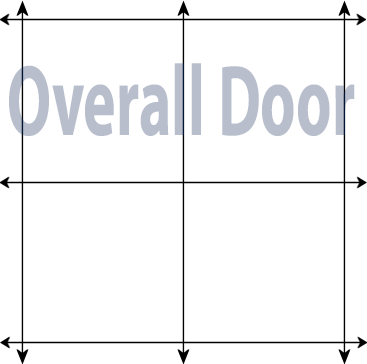 Measure your door in mm from the outside of the property. Measure the brickwork opening in 3 places for both width and height. Of the 3 measurements use the smallest and deduct approximately 10mm, that's your order size. The height measurements must be from underneath of any existing removable cill. If your property is rendered, remove some render and measure to the brickwork edge.